We’re closing out 2009 with a bunch of reviews and comparisons of HDTVs. First up, top selling 32″ LCDs. 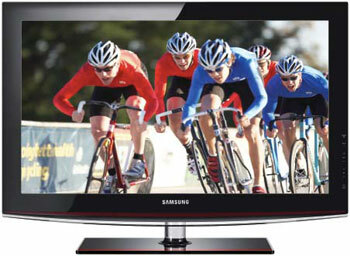 All 3 HDTVs in this review are at the top of their class balancing value with performace. They also have a wide range of capability and options; most notably are the resolutions of high definition offered (ie 720p to 1080p), response time, and HDMI inputs. The Good: Amazon is currently selling the Samsung LN32B460 for less than the Manufacture’s Suggested Price making it a top seller before Christmas 09. The LN32B460 offers a low response time of 6ms making it a good buy for watching sports or playing video games. With a 50,000:1 dynamic contrast ratio, this model offers a bright and detailed picture no matter what the lighting conditions are in your home. The Bad: 720p resolution will not give the best picture quality if you plan on using a Blu-Ray DVD player with the LN32B460. Some reviews on Amazon have complained about viewing angles being washed out as you walk to the side of the TV, if, you plan on sitting close to the TV. For distances greater than 4′, viewing angle shouldn’t be a problem. No USB input. 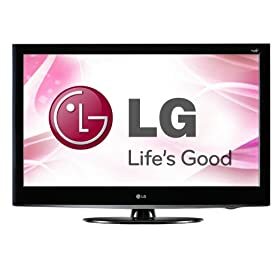 offers the best price and picture for 32″ TVs currently (12-09-2009) on the market and with 3 HDMI inputs, the LN32B460 offers plenty of expandability for your home entertainment needs. offers 50,000:1 and a Super ISFccc calibration system which, as LG touts, “capable of professional calibration for picture performance”. The overall weight of this TV is pretty light considering its size at 24.3 pounds making it easy to move or handle. Though we haven’t heard the Dolby Digital 5.1 built-in hidden speaker system on this particular TV yet, it has rated quite well on Amazon’s reviews. The Bad: Viewing angle suffers if you plan on watching TV less than 3′ away from this unit. Buyers should also note that the 32LH30 is not equipped with USB or wireless connectivity. offers a step up in picture over the Samsung LN32B460 while not breaking the bank. Buyer reviews and experiences at Amazon are exceptionally good. comes with a built-in image viewer and iPod universal dock for playing mp3 music files through the TVs speakers. Once connected to the TV, iPod users will also be able to control their iPod through use of the TV’s remote control. SD Card input for support of different video and music files. 3 HDMI inputs. The Bad: 720p and 12,000:1 contrast ratio technically make this TV less suitable for those wanting top picture quality. Sound quality from built-in speakers have not impressed reviewers well at Amazon. 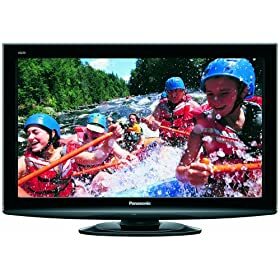 The Final Verdict: For what the Panasonic TC-L32X1 lacks in terms of higher end display capability, it more than makes up for it in terms o pricing and features.